We liked the location close to the Weiden Brau restaurant. We liked the fact that we could store our luggage there on Fri. when we arrived before 3:00. Your front desk clerk, Evelyn Gallhubor, was excellent with us especially when the problem occurred with our door lock Fri. night. 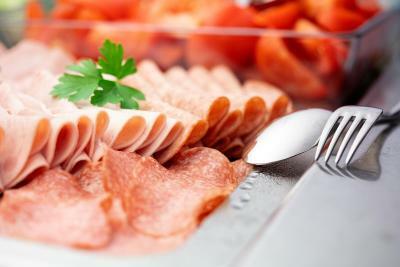 Your breakfast buffet was wonderful. It exceeded our expectations by far. 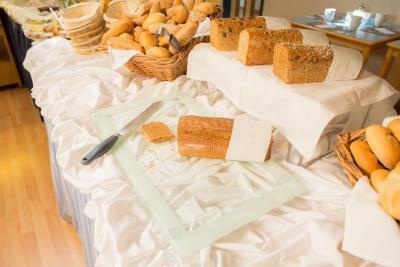 We were amazed by all the variety, we only expected a roll and a coffee. 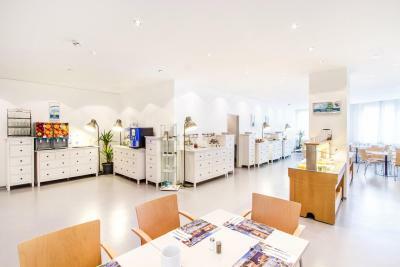 Location: close to all amenities (supermarket, bakery, shops), few minutes walk for the tram station and to Nachmarkt The room was quite good, modern, clean and shiny. Wifi was good! 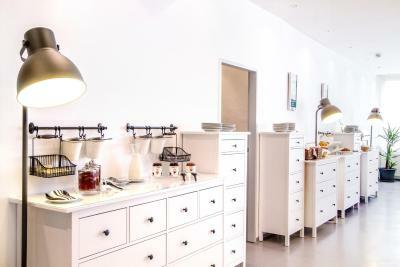 The room is spacious with big windows, one big working table, two shelves and a big closet. Furniture is not fancy but convenient. The bathroom is clean. Since I work on this trip, the big table and book shelves are very useful. 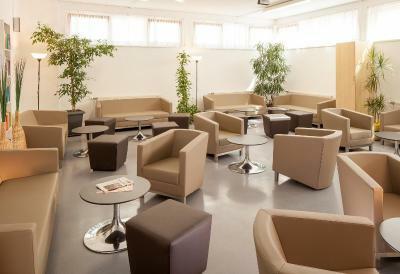 There are many wall outlets, convenient for travelers with many electronics. The location is good. It is worth the money. Everything was clean and the location was very convenient to reach TU Wien as well as downtown. The hotel was perfectly located in a quiet area. 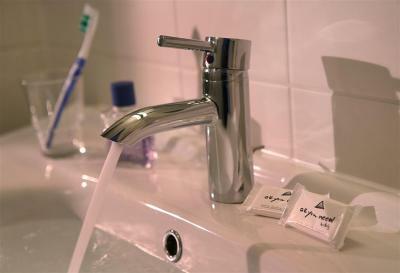 Clean rooms with good facilities. The room has a good size with just everything basic I need for a short stay. 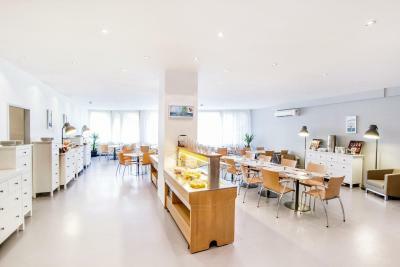 Really good value for the money, at a quite central location in Vienna. 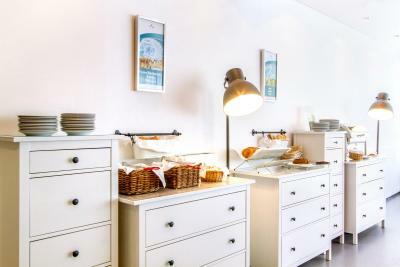 Breakfest was good, location is near downtown and it is easy to come from hotel to city center. There is few good Pub near hotel. Breakfast was superb. Staff were young and learning and from all appearances were doing a great job. It was only two blocks from the tram stop and only a 5 block walk to Karlsplataz. All in all an excellent location. 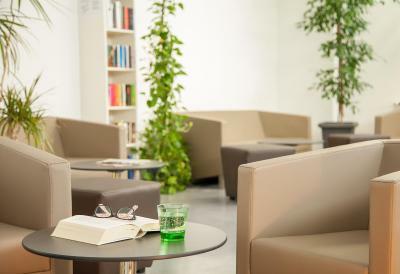 The hotel is comfortably set to be walked into from the Vienna Central Train Station as well as within a walking distance from the historical city centre (Albertina, Hofburg etc.). 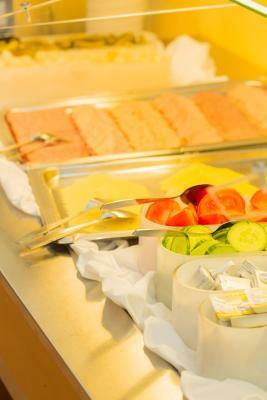 The air-conditioning in the room worked well and breakfast was delicious, with a great choice of meals. 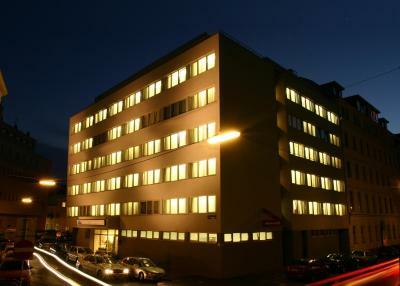 AllYouNeed Hotel Vienna4 This rating is a reflection of how the property compares to the industry standard when it comes to price, facilities and services available. It's based on a self-evaluation by the property. Use this rating to help choose your stay! 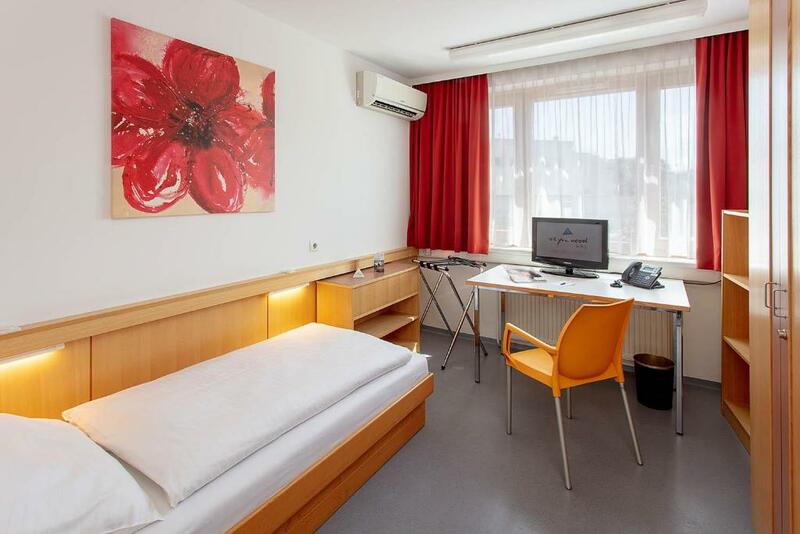 AllYouNeed Hotel Vienna4 is located a 15-minute walk from the Ringstrasse Boulevard and a 10-minute walk from the vibrant market area around the Naschmarkt. 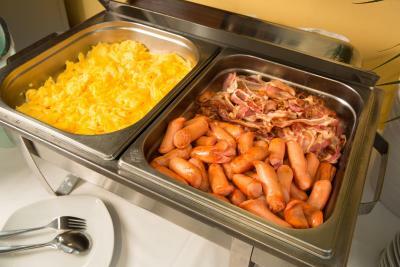 It offers its guests free WiFi access, nonsmoking rooms, and a warm breakfast buffet. The rooms all come with a flat-screen TV with satellite channels, a direct dial telephone, and a bathroom with a hairdryer and free toiletries. 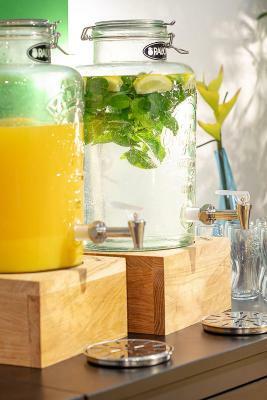 An electric kettle can be rented at the reception (against a deposit). The Taubstummengasse Underground Stop (line U1) is a 5-minute walk away and provides direct connection to Vienna's city center with its sights such as Saint Stephen's Cathedral and the State Opera House. 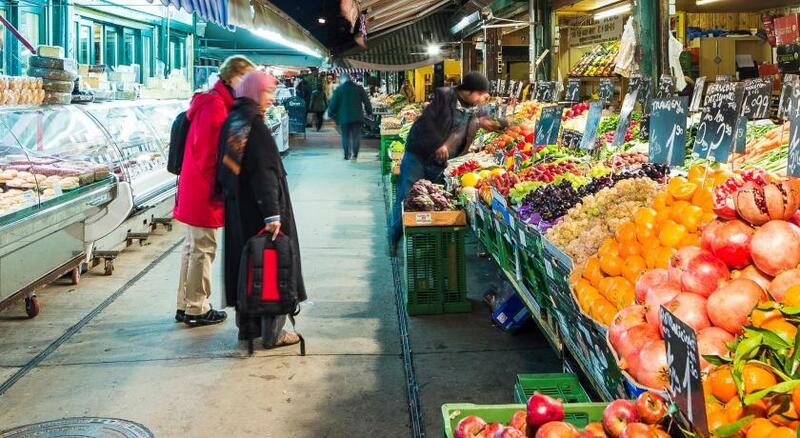 Lots of bars, restaurants and cafés are in the immediate vicinity. Kettenbrückengasse on line U4 is 2,150 feet away. The hotel is open every year from the 1 July until the 30 September. 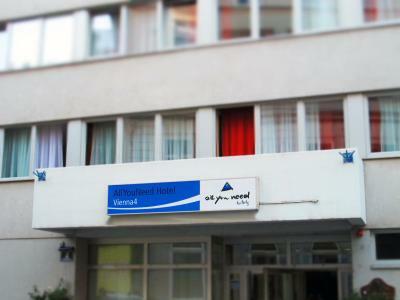 When would you like to stay at AllYouNeed Hotel Vienna4? Room with a flat-screen satellite TV with international channels, free WiFi, free wired internet, and a bathroom with a shower, hairdryer, and free toiletries. Hotel surroundings – This neighborhood is a great choice for travelers interested in art, architecture and museums – Check location Great location - show map Guests loved walking around the neighborhood! 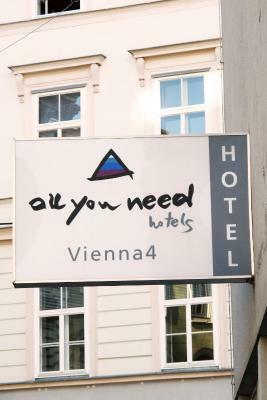 House Rules AllYouNeed Hotel Vienna4 takes special requests – add in the next step! 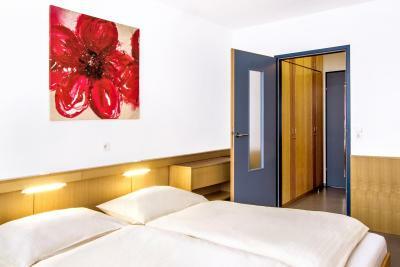 AllYouNeed Hotel Vienna4 accepts these cards and reserves the right to temporarily hold an amount prior to arrival. Front desk opening times: 7 am-11 pm. If you arrive later than 11 pm, please ring the bell at the entrance door to reach the night porter. The breakfast rate is higher if ordered upon arrival. When we returned from eating Fri. night we could not get in our room #104. This was at 7:00 p.m. We tried several times, then Evelyn Gallhubor from the front desk came up and tried and then she told us a technician was coming to open it. We waited in the lounge. She would come in periodically to tell us he was still working on it and offered us water or a soda. About 9:45 she said he was going to have to break the lock & we would have to pack & move to another room; I was so tired I did not want to do this. When we got upstairs to the room at 10:00 he had the door open, we changed our password & we could stay put in #104. Thank goodness, we were both very tired & just needed sleep. 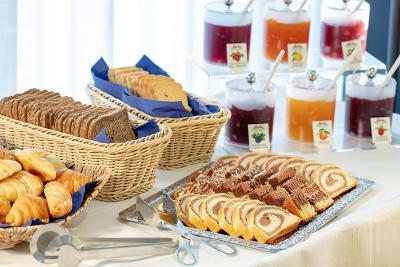 Good breakfast, perfect location to go, the staff helps to solve all the questions. Nice place to stay for a few days. Excellent value for money, central, had "all we needed" for a one night stay. No extra cost to store luggage. Breakfast very good. No airconditioning, no fridge, poor toiletry. 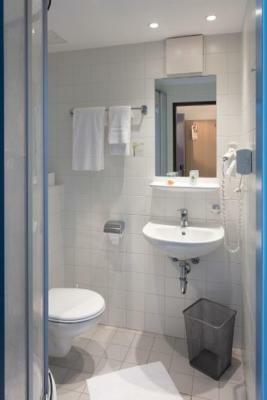 Excellent location, friendly staff, clean room and bathroom. I think the price of that hotel should include breakfast. The hotel was basic but clean and good location. Walking distance to all the sites and metro. The room lacked any character but for the money was clean. It is okay for a short stay. The facilities were basic but clean. Everything you need was available. The bed was comfy and the shower good although the bathroom was compact. We were happy with the location for the money we paid. Turn left onto Waagasse and at the end of the street, where the chemist (apoteke) is, turn right onto Opengasse and you can walk straight to the Opera House in about 20 mins. The hop on hop off buses are found here. We used the yellow and green buses at the front. Good restaurant and beer garden 10 metres from hotel - wieden brau - turn right on Waagasse. We hired a kettle for a refundable 10 euros but advise to take your own mugs for use. Aesthetically very basic, fornitures look like they were taken from primary school, like the desk in the room or the doors. That could be ok, but not price-worthing. Buffet for breakfast quite good, very good location. The room was a bit warm and didn't have air conditioning. Hotel was very clean. The included breakfast was pretty good. Well organize and functional. Good accomodation at a reasonable price. The staff is competent and friendly. The room was very clean and quiet. Hotel is situated in a fantastic localisation - close but not too close to loud centrum. Breakfasts very tasty.